Lemax Dog Gone Good! 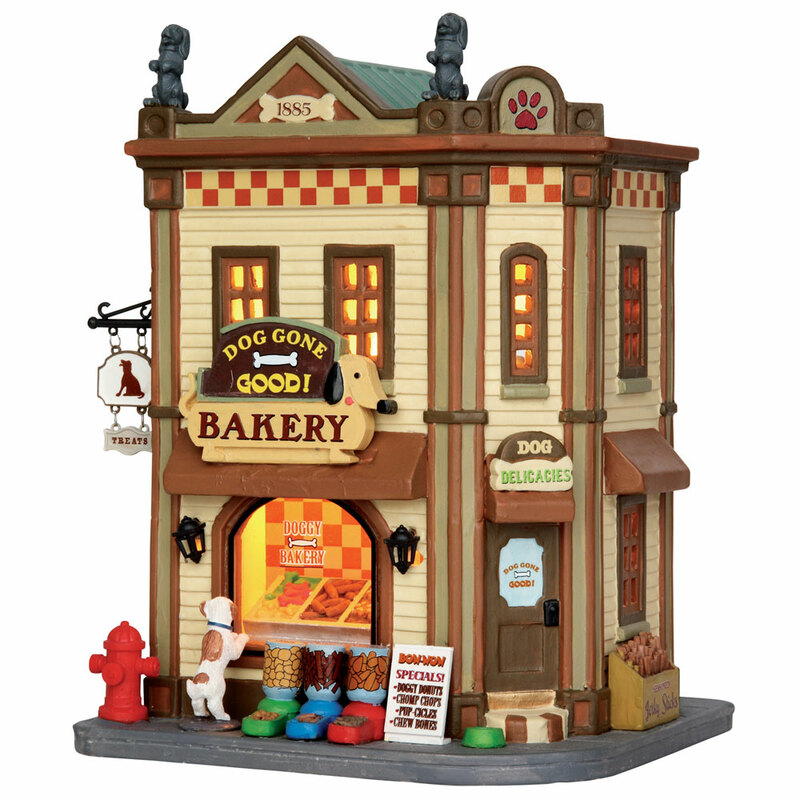 Lighted Building depicts every dogs dream which is a corner street bakery store only for Dogs, selling freshly made food for rewarding happy and loyal canine pets. Internally illuminated village miniature table piece suitable for placement within a themed Lemax village street display. Dog Gone Good! is a new addition to the Lemax Caddington Village miniatures collection in 2015. Dog Gone Good! is a single porcelain hand painted miniature building on a single street setting base, that includes a welcoming internally lit shop window scene.